Outreach table applications now open! Ai-Kon loves to support our community. Looking to promote your club, convention, high school or university group, hobby community, dance troupe, non-profit cause or other social groups? New opportunities with display space, weekend and day tables. 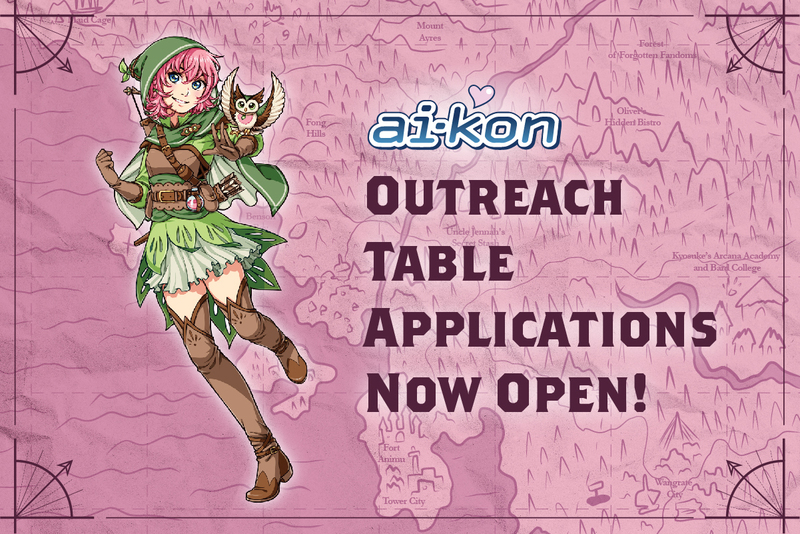 Ai-Kon could be the place to advertise your group from our outreach tables!